“More Two-Tone Oxfords were sold this season than ever before“, announces the advertisement for a dapper pair of Spectators in the Sears Roebuck & Co. catalogue from the year 1928/29. 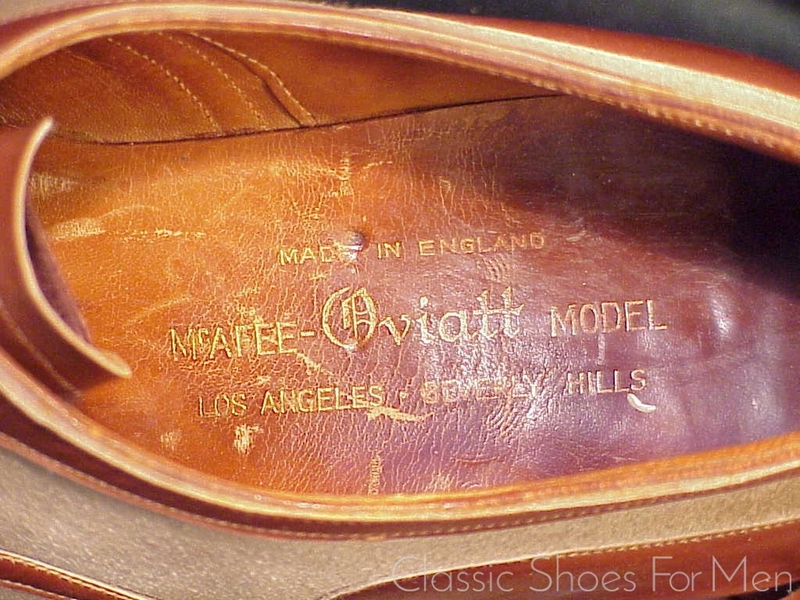 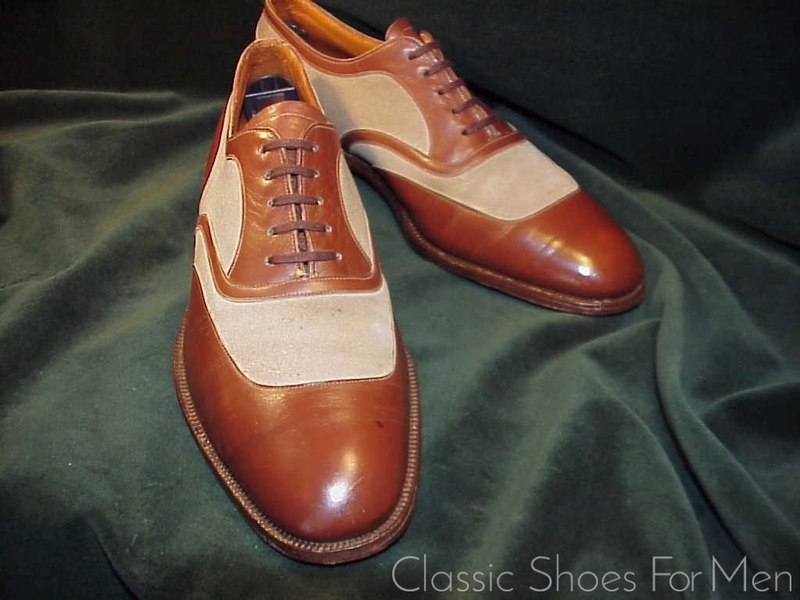 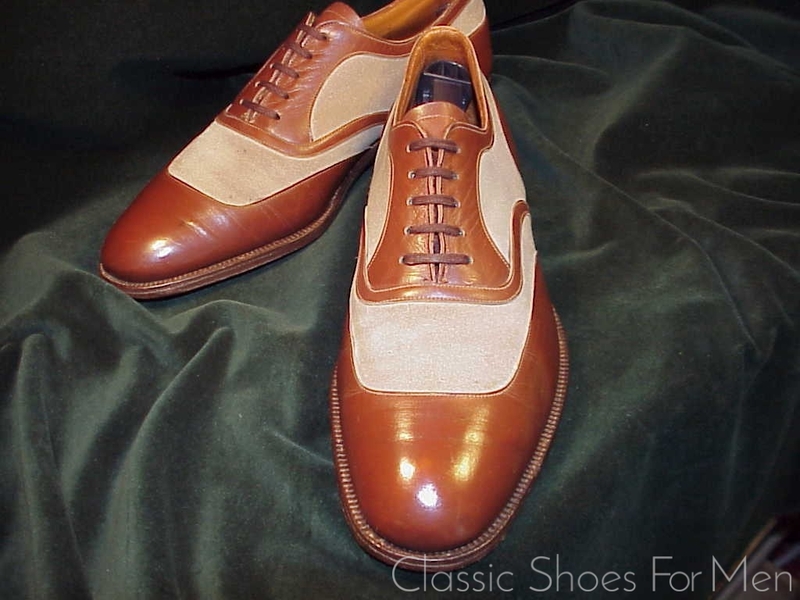 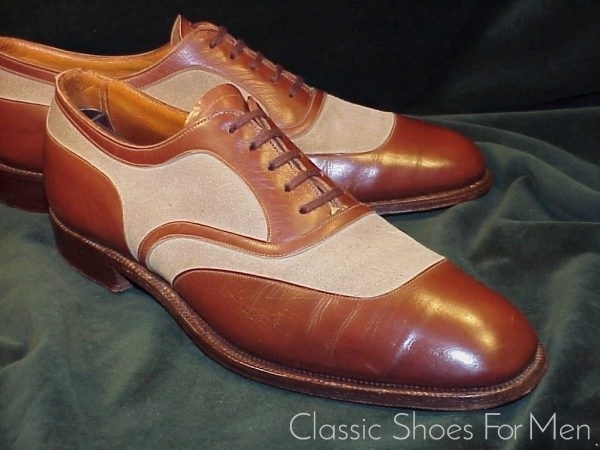 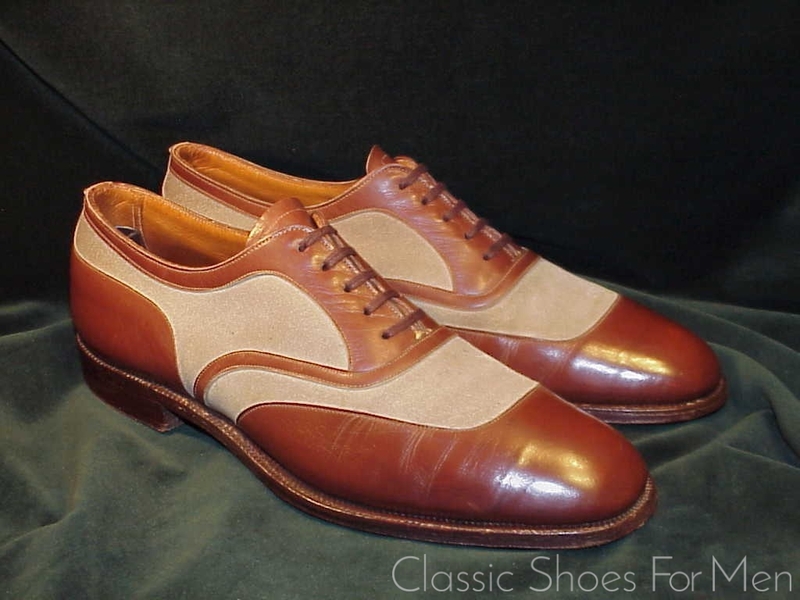 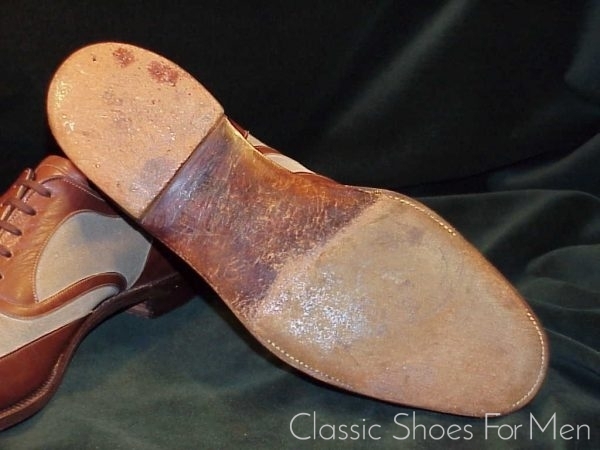 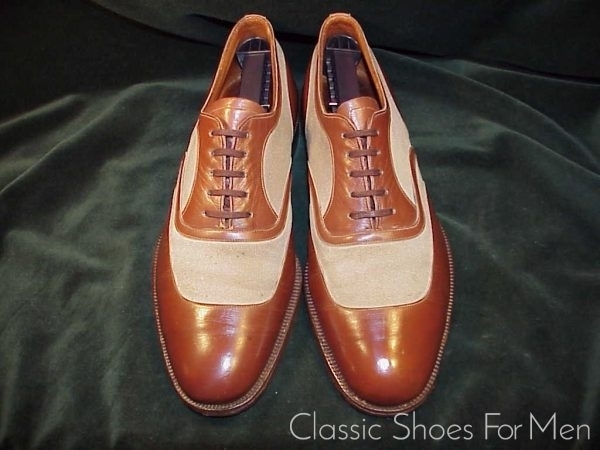 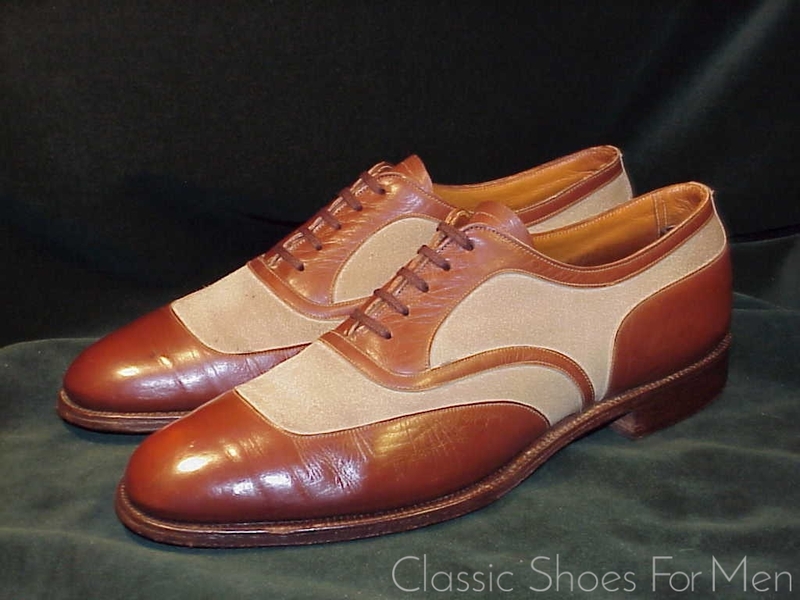 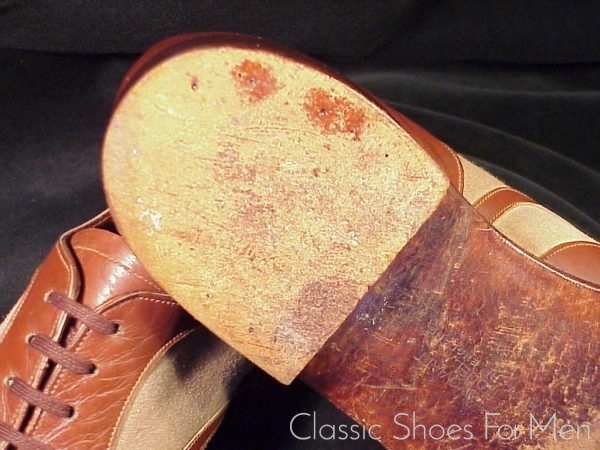 The McAfee name here should be understood to be of the English firm, later a part of the Church’s conglomerate of shoemakers, although the style of the shoe is characteristically American, no doubt made on commission by the once red-carpet Beverly Hills, Los Angeles retailer, Oviatt. 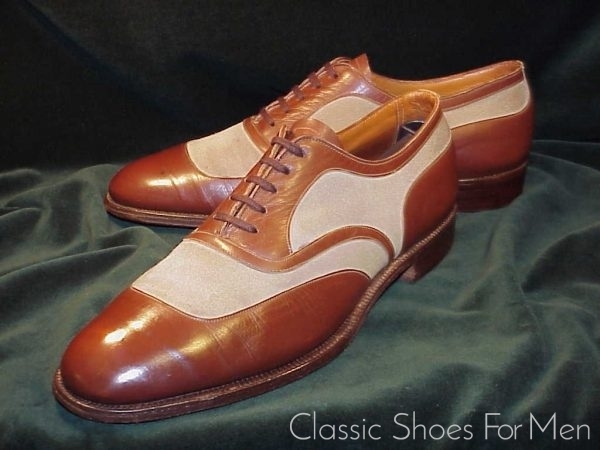 In contrast to the “ventilated” spectators, this is a true three-season shoe and the subdued colour scheme lends itself to a wide variety of uses without the bold effect of a high contrast spectator. 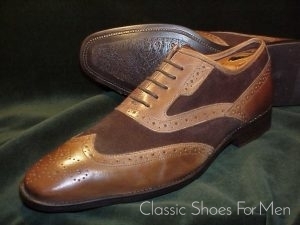 In short, as dignified a shoe as it is handsome and a practical warm-weather addition to the wardrobe. The Spectator enjoyed wide popularity in the 1920’s and 1930’s, which only dwindled in the 1950’s. 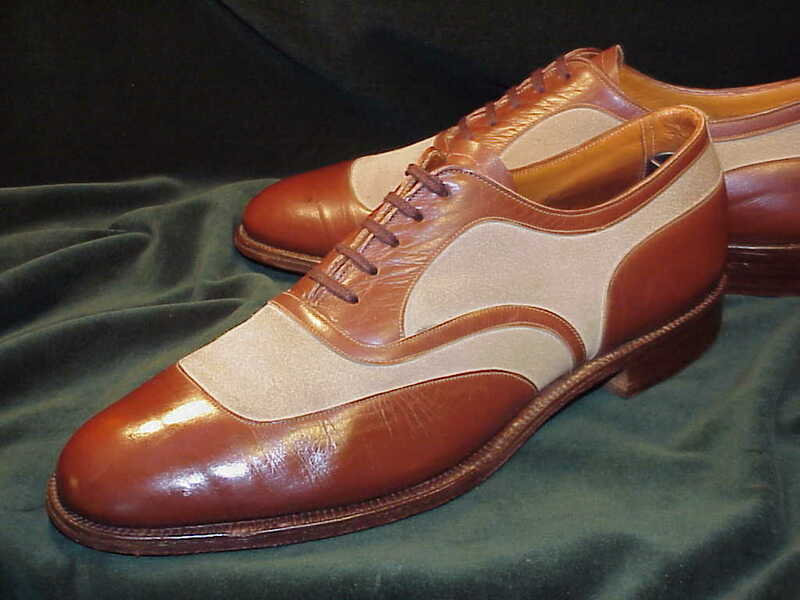 Today, the Spectator enjoys renewed popularity in the wardrobe of the affluent, well-dressed man and every important modern shoemaker, Lobb, Green, Church’s, Crockett, Alden, Allen Edmonds, presents at least one Spectator model in its repertoire, many of which are excellent reproductions of the style. 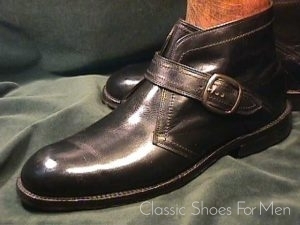 Here, however, for the connoisseur is an original. 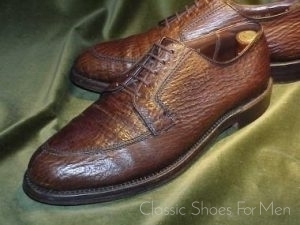 Postage: Euro 6,90 innerhalb Deutschlands als versichertes Paket. 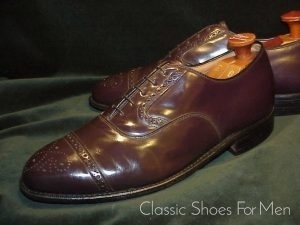 Elsewhere in Europe, Euro 14,20. 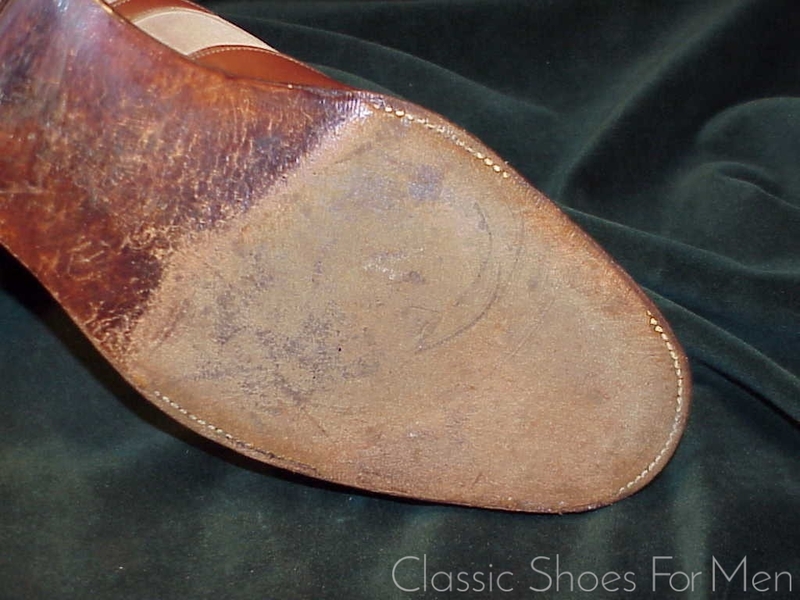 US postage, a flat $10. US 8.5D-9C.....(UK 7.5E-8D).....(Continental 41,5D-42D), for the medium width 41.5 or slightly narrower 42. 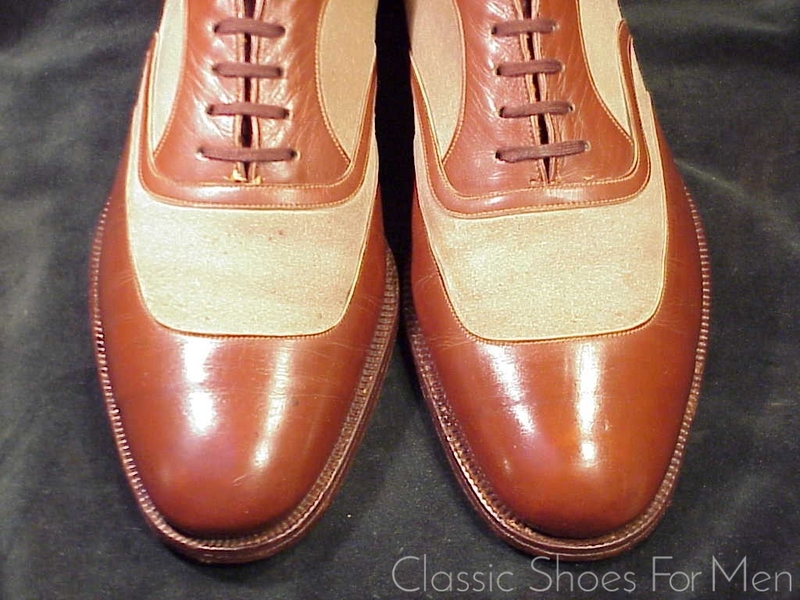 This is in excellent original condition, never repaired and not needing it, an extraordinary "find" in this superb condition.